Another great Poster Shirt from the archives of Pan American. 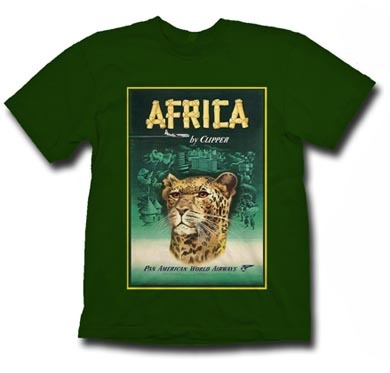 Here we have the "Africa by Clipper" shirt. Complete with a menacing tiger! All on a Forest Green 100% cotton Gildan shirt. The perfect gift for your significant other or yourself!